Below you can view all the homes for sale in the Windfall subdivision located in Chapel Hill North Carolina. Listings in Windfall are updated daily from data we receive from the Raleigh multiple listing service. To learn more about any of these homes or to receive custom notifications when a new property is listed for sale in Windfall, give us a call at 919-759-5668. Finished basement / Recreation Room & Bedroom with own bath! MLS#2244620. 2989. 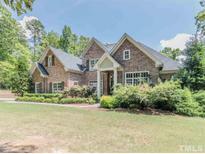 Best of Both Worlds: Low Chatham County Taxes & Close to RTP, RDU, Chatham Park & Pittsboro! MLS#2238537. 25. Close proximity: RDU, RTP, Cary, Apex & upcoming Chatham Park! LOW COUNTY TAXES! MLS#2213498. 25. Level lot, trex deck,fenced play area, new tankless Hardwood Floors, high quality finishes! MLS#2205033. 4532.